Alief ISD Sets the Bar! 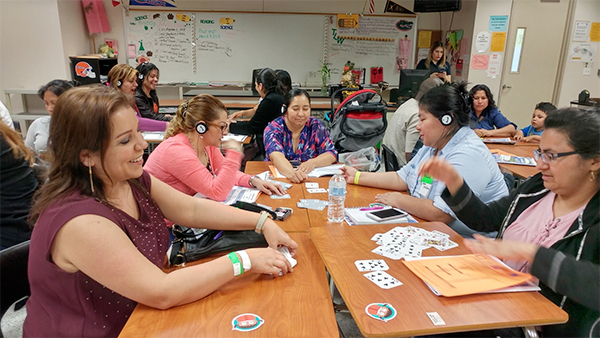 Alief ISD in Alief, Texas, recently held their annual Parent U on Saturday, March 3. Yes, a Saturday! 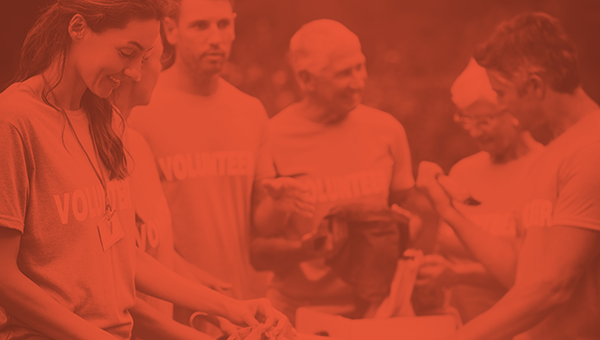 The organization was impressive with over 200 volunteers and cooperative groups all presenting various ways they could work together to help kids. Parents chose 3 sessions from a list of opportunities to learn more. ReadyRosie was invited to present three sessions for families and two sessions for staff. As the ReadyRosie trainer of the family sessions, I was incredibly impressed. 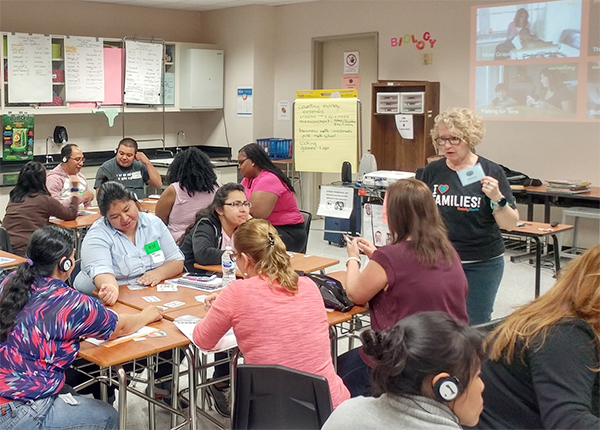 The parents who attended my sessions were excited, engaged, and eager to learn how to support their children in general and specifically in literacy and math. We watched several of the ReadyRosie Modeled Moments. Two of the favorites videos were Pantry Talk and Biggest Number. The families were quick to share how they would adapt each activity for children of different ages. The excitement was so high they didn’t want to stop playing the card games that supported different math concepts. There was a Primary track for PreK-4th and an Upper Elementary track for parents. Children participated while their parents were learning. In between sessions parents browsed vendors offering different health screenings. Each parent received a sticker for sessions attended and transferred the stickers to a form that was turned in at the end of the day to win prizes. The forms tracked parent names and schools so that each school got credit for the parents attending. The energy was high. The involvement was high. Kudos to all the parents who chose to get up early and spend a Saturday learning! Don’t underestimate your families. Show them how to help their kids and they will come.